The power to imagine a successful future. In the July/August issue of FURNITURE WORLD Magazine we discussed how most of the old rules about marketing and building awareness, such as product development, gaining and keeping furniture store customers, and making a profit have pretty much been turned upside down and sideways. Historically, western culture has tended to value left brain (analytical) thinking. This meant that people who could analyze data sets, balance books and do quantitative tasks were rewarded. Increasingly though, “right brain jobs” have been outsourced or computerized. We can now do our taxes online and get expert accounting tech support from a certified accountant in Mumbai. A concurrent trend in business is to value right brain thinking. This is the purview of creativity, creating new ideas, patterns, methods, and relationships. Our Tribe members, including customers and employees are looking for the unusual, the thrilling, the out of the ordinary, and the very useful (see the 3-part series “Furniture Retailers Go Tribal” posted to furninfo.com’s marketing article archives at http://bit.ly/b4tpLZ). The challenge for most furniture retailers is to address this desire. If you feel challenged, read on for ideas on how to encourage creativity in yourself and your organization. What’s the Big Idea What’s the Right Idea? Maybe your big idea is just a tiny one that will save other people some time and hassle. Maybe it’s a new way to move furniture across a room, or a clever method of delivery. Maybe it’s a safe way to clean a television screen, or an exciting way to engage customers weekly. It could be a more efficient way to share news in the office or a service offering no one has ever thought of before. Or, the big idea may even be bigger than that! The right idea for your business is the one that energizes you and makes you say, “I think we really have something here”. It’s the one that gives you a bit of electric energy in your thinking. If you are like me, or have someone in your organization that has a highly developed right brain, you will come up with or be presented with a huge number of ideas. The trouble with most idea people is that their ideas just don’t bear fruit. Some are good ideas, some are great and the rest are just plain crazy. Without an organizational commitment and a process in place to review and evaluate them, ideas just remain ideas. They don’t become innovations, business plans or profit centers. Many retail furniture stores were founded as general stores, funeral parlors or sold items door to door. Most business models go through life-cycles. Those businesses that don’t innovate, eventually become unprofitable and fade away. Your success, happiness and prosperity is dependent on having a stream of new ideas, evaluating them, and implementing the best ones. Do you have a good idea that really resonates with you (and with some others)? Go for it. Just begin to strategize on how to bring it into being. Put the time in. That is probably the most important piece of advice in this article. Cultivating creativity and growing the ideas that stem from it will be time consuming and will take effort. Stop whining and complaining about the economy. Instead, help build it. You are an amazing human being. There is not another like you in the entire universe; never has been and never will be. The next time you have an idea that seems useful let it play out a bit. Sit with the idea of bringing it fully into existence, knowing it will likely change form as it does. If you die with your ideas in your head, the world (or your local community, or your small bank of customers) will miss out on the incredibleness of the small and large ways you could have changed their lives. Do not wait for your big idea to be completely developed so it can be discovered by the masses. Just begin to implement it in useful ways with the customers you already have and love, and with prospects that you want to reach out to. Do what’s in your heart, and do it with passion. Money follows where passion leads, and the best part is that happiness follows, too. This is not the day to stick it out in a profession that is just a way to make money. Your competitors who are passionate will cream you. Look, I am not saying to stop everything and reconstruct your business model overnight. Keep doing what you are doing and what is working, but foster those new ideas. Then, as you can, implement them and bring them to your customers and use them to gain new leads. If people respond well, develop those same ideas even more, and see how far you can go. Let your clientele give you feedback that will help you even more. Reward people for their ideas, not because the reward makes people more creative (it doesn’t by the way) but because it is a way to show that you are opening up to new ideas. It’s a way to publicly show your commitment, at least at first. Have little contests, or just say, “Everyone who puts an idea in the suggestion box during the month of October will get a dollar for each.” No idea is silly, over the top, insignificant, too small, or too big. It can be an idea on marketing, or a thought on how to keep the toilet from overflowing. See how the mood in the office or store changes. See how excited your employees become at the thought that you value their ideas. So what, you blow a couple of big bills. What you get in return is worth so much more. As you encourage the creativity of others, and hire more creative people you will become much more competitive in business over time. Companies that won’t create won’t compete. The idea of embracing creativity and working with your passion is about you creating a plan that will naturally draw customers to your store. Forget about beating out a competitor. Innovation is not a competitive act, because all innovative ideas are unique. I have always run my business by knowing as little as I needed to know about my competitors, and then focusing on what I could be amazing at and how I could personally be outstanding. That’s what I am asking you to do. Oh, and by the way, it’s profitable, fun, and exhilarating, too. Is someone really going to come up to you and say, “Hey, we love your ideas over everyone else’s—they are the best,” or, “We want you to head up and lead this small group into the creative horizon?” No, they are not. I have worked with enough people, and served on enough boards and committees to know that many people fight each other’s creativity like a fly fights a spider’s web. No one is likely to give you permission. Give yourself permission. Then just go do it. Play Like a Child: When my children were little they played together for hours, inventing scenarios of freedom, exploration, adventure, and conquest. Very seldom did they plan out what they were going to do from start to finish. Most often, they had a general idea of what they would do, and they created the story as they went along, synthesizing their ideas and playing off of one another. That’s a good way to approach a creative session. Start with a thought or idea, and not a concept. Let the ideas roll around, and as new thoughts come, write them down. Synthesize by combining or grouping the written thoughts into piles that go together. Just have fun and see where it takes you. Ask Questions: Ask yourself questions, but not with likely answers already in mind. Let the questions be your catalyst for new thought, for fresh inspiration. Let the questions you ask make way for unexpected answers and new responses. Listen to your own questions, and let them open the door to potential and unusual responses that are in line with what you need to do. Intuition will be an integral part of this process. Be an objective listener and answerer of your own questions. Give Yourself Permission to be Free: Be free from self-imposed structure, from what others may think, from aligning with what has already been done or what is “acceptable”. Freedom means letting go and listening to your own self as if you were a new and interesting (and even outrageous) friend. Let go of what you tell yourself is a “good idea” or “bad idea” or “sensible” or “attractive” or especially “status quo”. Unleash your intuition. By allowing freedom, you tap into the energy of what people in the world (even just in your world) are wanting, desiring, needing, but cannot yet voice. Ditch your cookie-cutter, second-hand thinking and ideas, and exchange them for the spontaneity that is definitely within you. Be Willing to Look Idiotic: Fear of embarrassment has kept more people from creating or from sharing a creative idea than just about anything else. But fearing embarrassment is actually a good thing, because it signifies that you have left the expected, the familiar, and you are daring to step your foot into a place most people are not. Our natural intuition during creativity will likely bring us to uncharted spaces (uncharted because if others did happen upon that same idea they may have been too embarrassed to share it). Let embarrassment and foolishness become your friends, and sit and visit with them for a while. Don’t Stop in the Middle to Develop a Concept: During brainstorming, let the ideas keep flowing. Don’t get bogged down in the details of the ideas. Once you start to conceptualize, you have left imagination and right-brain thinking and have become more left-brain and linear. That type of thinking has an appropriate place, but save it for after the new and fresh ideas have come, and you have reached the end of your imaginative session. Why get tied down doing jobs that you could possibly delegate later? Welcome Creativity Blocks: When the flow of your creativity gets blocked, think about strengthening your creative fortitude. Push past the obvious and look toward the hidden but more valuable idea. Most creative blocks come from a desire for left-brain control or from trying to force something to be born. Blocks can also manifest when there is dissonance between your values and ideas. Blocked thinking is often instructive, so don’t fight it. Add Cash After Ideas Are Solid: Don’t feed cash to support your ideas until they become solid concepts. At that point you can begin to finance them because you know they are products, services, ideas, and business models that you will actually use. Right-brain thinking is creative thinking. Creative thinking is in line with the new economy. The new economy is flavored with change and customers who want exceptional products and services, interactivity, and wonderful ways of doing things. Many in our industry are suffering right now from poor retail traffic, low closing rates, and all sorts of service and quality related problems. There is no better time than right now to focus on becoming more innovative, more connected, and to think more outside of the paper bag! You see, computers, machines, online services, and cheap labor can replace some of our activity, but it’s not easy to outsource an active, observant, and problem-solving mind filled with creative ingenuity. If you are already a pioneering, right-brained thinker who loves dreaming up new ideas and coming up with stimulating ways of connecting with people, you are a leader and many steps ahead of most business owners and managers. If not, get on the boat before it sails without you. You may as well get creative and come along. That’s where all the fun is anyway! 1. Get Still and Write Without Interruption: Find a place to be alone without distraction so you can brainstorm. The creative process should be uninterrupted and your thoughts should be allowed to flow freely, with pen in hand. It is best not to stop during a brainstorming session to get into detail unless a detail is at the tip of your brain, in which case you should write it down quickly. You should not, however, interrupt the flow of general ideas - at least not yet. Just let the brilliance, the silliness, the craziness, the oddness, the practical, the sensible, the illogical, and anything else, flow. Everything should be written down, even if it is scribbled out or shown in drawings. 2. Get Clear on the One Idea You Should Target: You will likely come up with a few good ideas that have appeal to other people and might be monetized. At the end of your creative session or soon after, one or two ideas will stand out. These ideas should always be put down on a clean piece of paper and explained more fully. Continue this process until something meaningful with a unique selling point begins to appear. As you begin to see it, expand it, push it to its limits in a new brainstorming or creativity session, where the details will come to life. 3. Look for the Pro’s and Con’s and Then Make Adjustments: Now you can start thinking of the pros and cons of the idea. Get out a new sheet of paper and divide it in half lengthwise with PROS on the left and CON’S on the right. This important activity may alert you to fear factors stated as objections that a decision maker, such as a family member, supervisor, boss, investor, even yourself may bring up. Discover as many benefits as you can that will appeal to your projected market, and describe how the idea will improve their lives. Also, look ahead for solutions to the con’s or be ready to make adjustments. The con’s may include lack of finances, lack of time, lack of the right people, or any number of things. 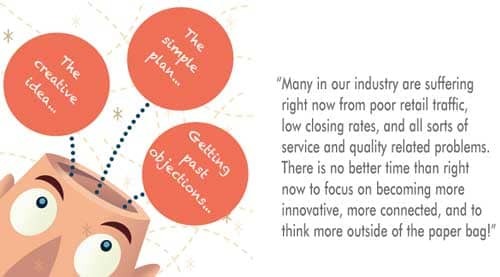 Look for the solutions by brainstorming again. 4. List the Needs and Possible Requirements: Make a list of all of the possible or potential things you will need to acquire or work out in order to monetize your idea. These may be things like money, sales people, assistants, permits, licenses, or special permissions. 5. List Your Potential Resources: Next, make a list of all of the possible or potential resources you can call into play to help bring the idea to the point of being a useful innovation. Be creative here, and think big and small. Leave no stone unturned. These resources will come in the form of cash, other financial assets, other creative people, other organizations, investors, designers, web experts, marketing experts, a person you know who works at the county clerk’s office, etc. Later you will focus on the actual resources that will be accessible to you. 6. Create a Simple Plan or Time-Table of Your First Steps: Begin to develop a simple plan of action to go in the direction of developing your idea into a product, a service, or a way of doing business (again, writing this on paper). Jot down a basic list of steps you would likely take along with estimated completion dates. These steps and time frames will likely change later, but you have to start somewhere. 7. Approach the People Who Will Support You and Give You Honest Feedback: Take all of your lists and notes to the people who will be involved in approving and implementing your idea. This may be yourself, your spouse, your boss, or the board of directors. Be sure to approach first those who understand the importance of creativity and innovation in business. Then together you can look at the details a little closer, and prepare to present your idea and plan to decision makers. 8. Formulate a Strong Motivation and Then Approach the Head Honchos: You know intuitively why change is needed, and why your idea is important for the survival and profitability of your furniture business. Still, others may fear change. For your specific creative idea, be sure to have a firm understanding of your reason for developing it, so when you speak with decision makers, you can establish the need for change. Motivations can include a clear market need, the state of company profits, or the potential for increased sales. Be specific, and share the motivation with passion. Then share the idea in all of its brilliance. Even if you are a sole proprietor and decision maker, establishing the motivation behind your innovation is a crucial step to ensure that you will devote resources down the line to making your excellent idea a reality. Margarett (Margo) DeGange, M.Ed. is a Business and Design Coach in the Home Fashions Industry. She creates and delivers custom training programs for managed businesses and their sales consultants to help them communicate better with customers and increase sales and profits. Margarett is a Writer and Professional Speaker, and the President of The DeGangi Group and The DeGangi School of Interior Decoration, with both on sight and on-line courses in Interior Decorating, Marketing, and Redesign. For almost 20 years she has helped individuals and managed business owners in the interior fashions and decorating industries to earn more while fully enjoying the process.